You are here: Home » featured » CAAAV’s annual Karaoke Battle: Liberate Your Wildest Dreams! 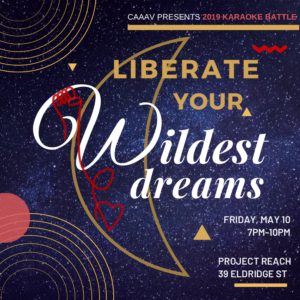 CAAAV invites you to the long-awaited and fabulous Karaoke Battle on Friday, May 10th! Our annual Karaoke Battle is a fundraiser party to support CAAAV, a grassroots organization that relies on community support. You have an opportunity to fundraise for CAAAV and/or compete in a team or solo during the night of the event! 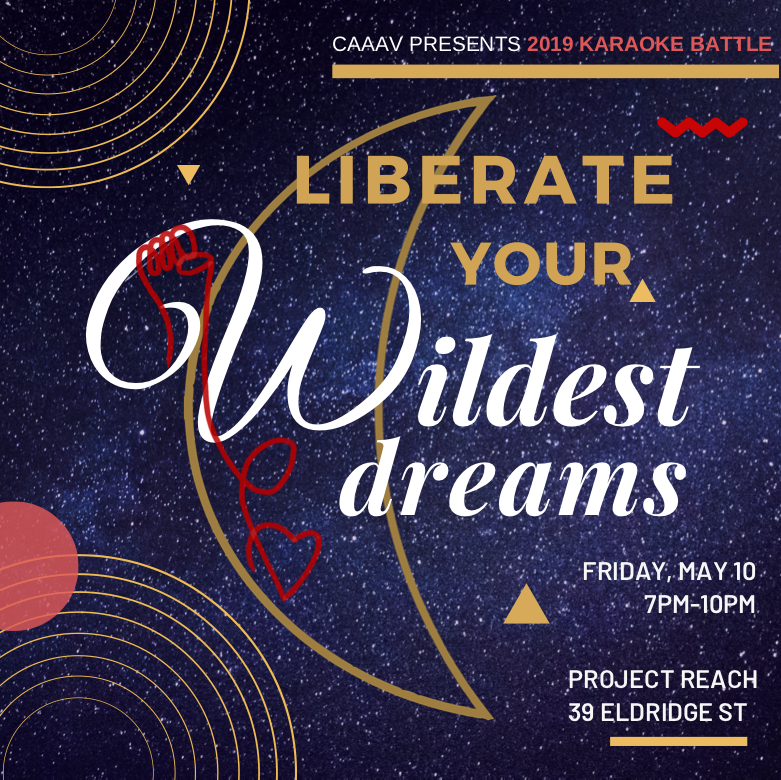 CAAAV supporters create teams on Crowdrise that fundraise leading up to the Karaoke Battle night when they dress up in their best themed costumes and compete in a karaoke sing-off against other teams for the chance to win prizes and bragging rights. CAAAV’s goal this year is to raise $25,000. Last year, with the help of community support, we raised over $20,000! The Karaoke Battle’s theme this year is Liberate Your Wildest Dreams. Our theme is inspired by our major win this year – the fight against Amazon! We beat Amazon, a huge corporation and the richest man in the world, which means we can liberate our wildest (revolutionary and movement) dreams if we organize! RSVP NOW if you want to attend the event or want to fundraise/compete in the battle! Follow our Karaoke Battle event page on Facebook for more information!